Shaker PSU-10i provides regulated orbital motion of the platform and is designed for use both in small specialized biotechnological laboratories and in large multidisciplinary laboratories: a choice of five (5) interchangeable platforms provides the possibility of performing various procedures and techniques. Shaker PSU-10i incorporates a direct drive system, a brushless motor with a guaranteed service life up to 35,000 hours and an automatic loading balancing system. These innovations allow for continuous mixing up to 7 days, ensure reliable, trouble-free operation for more than 2 years and significantly expand the range of the device performance in both high and low limits. How long is a service life of a PSU-10i motor? PSU-10i has a direct drive system and brushless motor with a service life up to 35 000 hours. Is it possible to order additional holders for UP-12 platform? Yes, it is possible to order additional holders for UP-12 platform. Please order HB-200, Additional holding bar for UP-12, Cat.number BS-010108-FK. If I move around PSU-10i there is a strange metal sound inside it. Is it broken? No,the shaker is not broken. The sound is made by a balancing system. 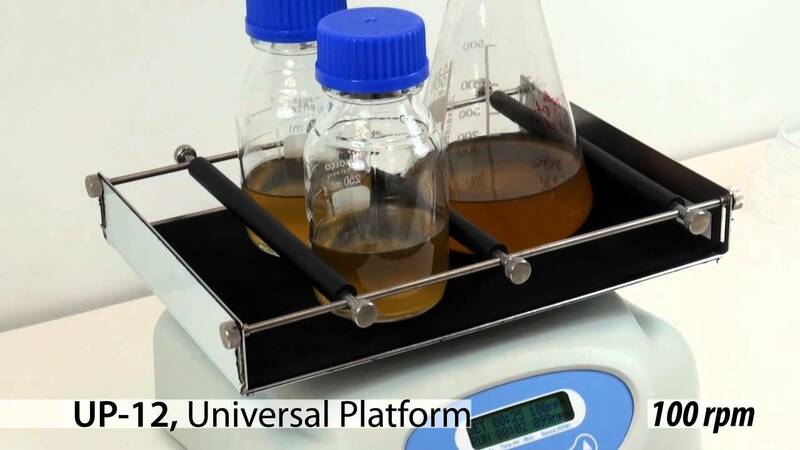 Flat platform with non-slip silicone mat for Petri dishes, culture flasks, agglutination.